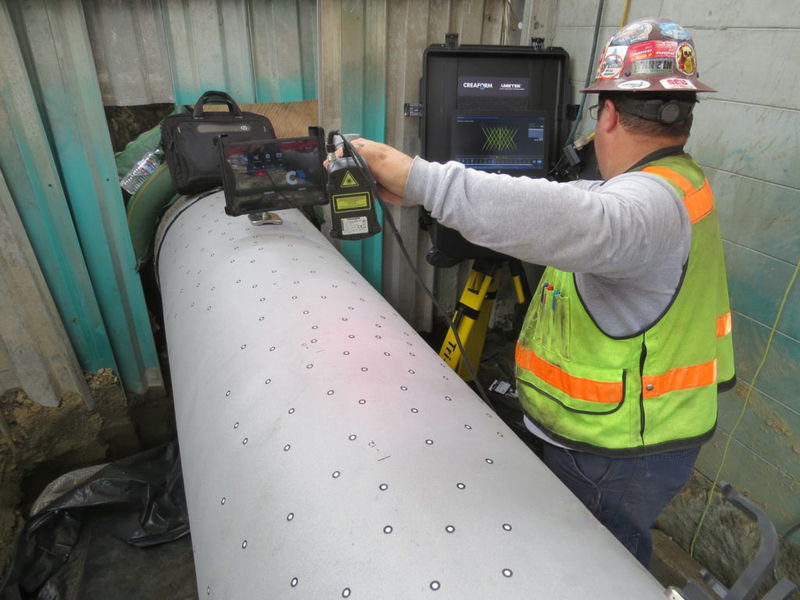 3D Scanning for corrosion and mechanical damage assessments. Pipeline operators rely on direct assessment of external corrosion and deformation of their facilities. When manual techniques are not practical or efficient, Coast utilizes the most technologically advanced methods to ensure accurate documentation is provided. Laser Mapping technology has been introduced into pipeline integrity with positive response over the past several years. This technology offers two types of Pipeline applications such as External corrosion mapping and Dent Strain Analysis. External corrosion mapping is very important for engineers to determine the remaining strength of the affected pipe. With Laser Mapping, the precise dimensions are obtained within 0.0002, and using software designed solely for pipeline assessments, engineers are provided in-depth analysis of burst pressure calculations based on interaction rules and component design; compliant with ASME B31G. 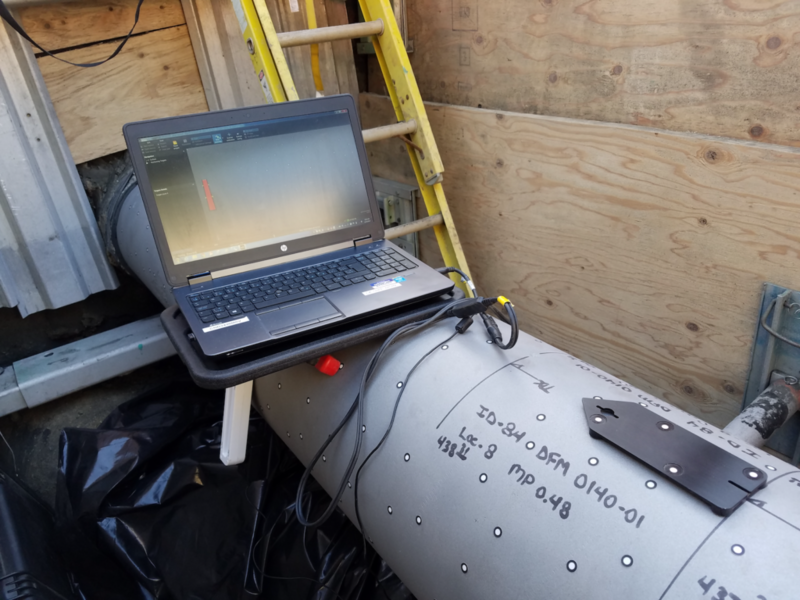 With the Dent Strain and Deformation Analysis applications, this technology can provide accurate measurement of deformations as well as analysis of external corrosion that may be associated within the dent where a mechanical pit gauge would not be practical.